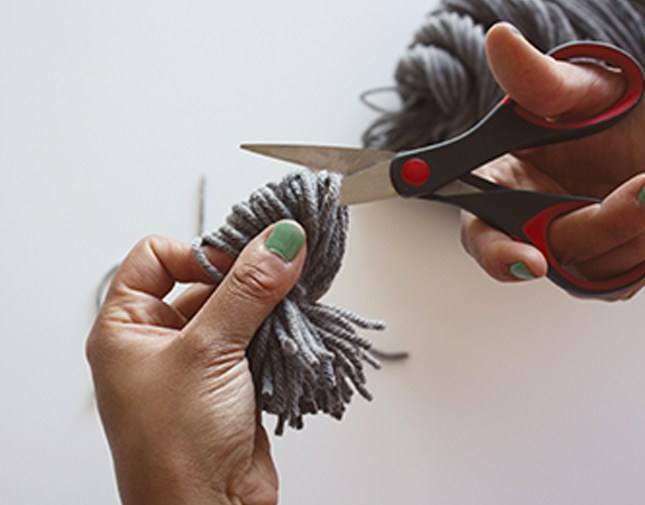 These fun and colorful braided yarn bookmarks are a great way to hold your place in your favorite book. 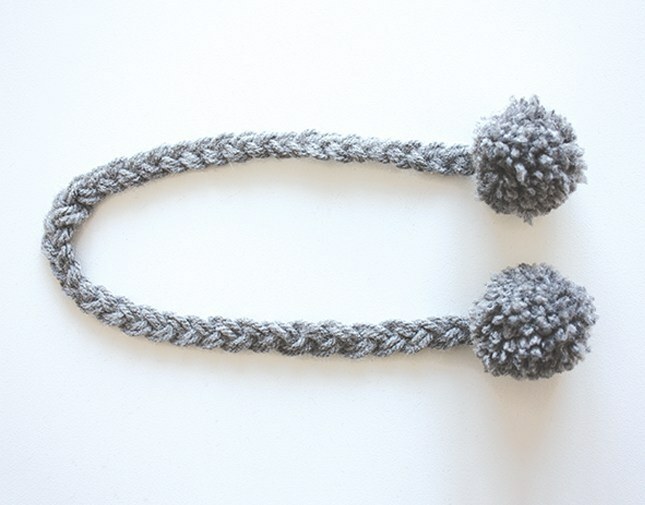 Why not give these to loved ones AND make yourself a set! 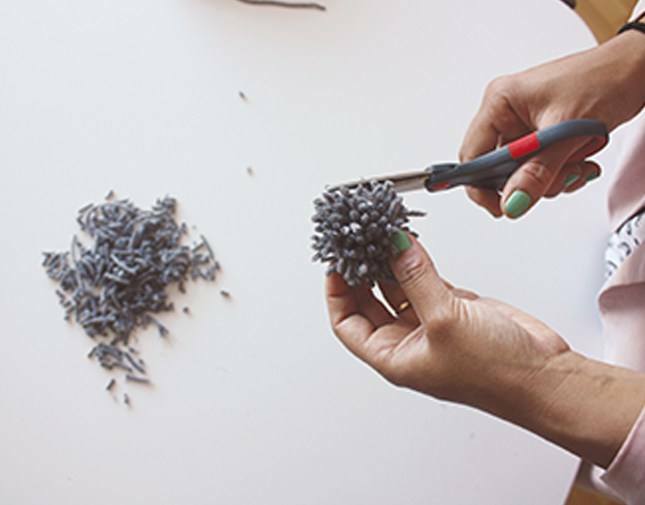 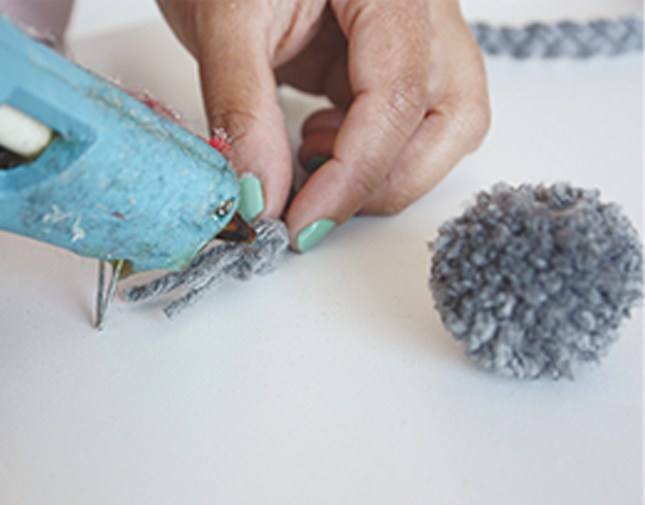 Let us walk you through how to craft these no-needle useful tools with this step-by-step picture tutorial. 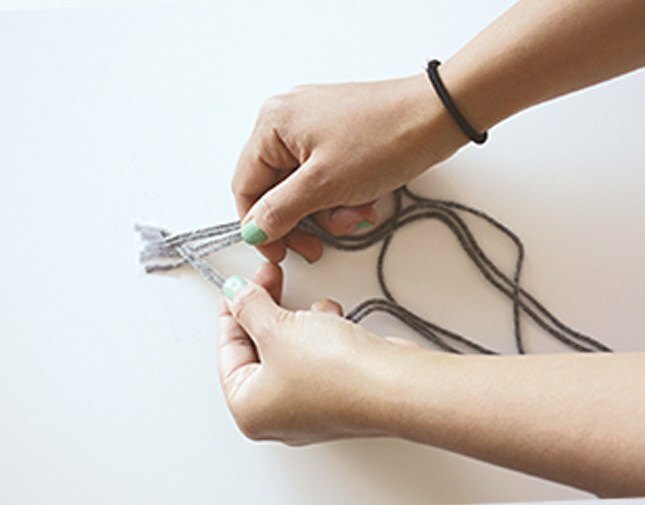 See these bookmarks and 12 new knit and crochet matters in our new Lookbook Gray Matters. 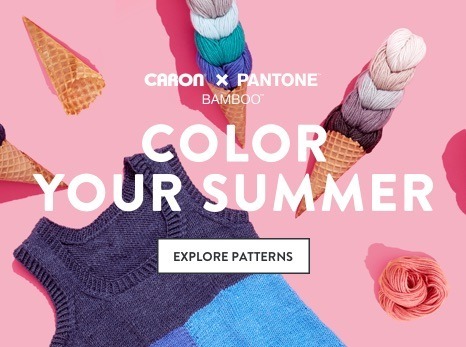 Caron One Pound in your choice of colors. 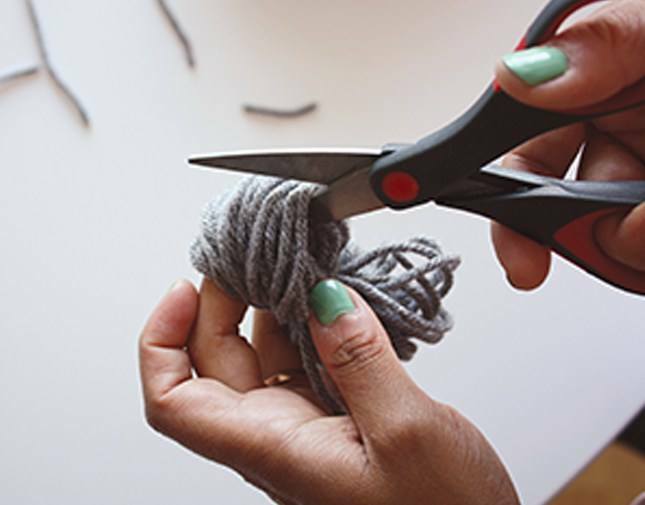 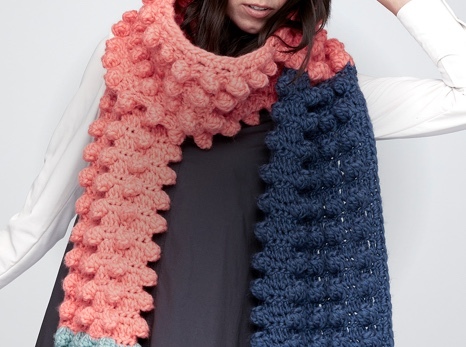 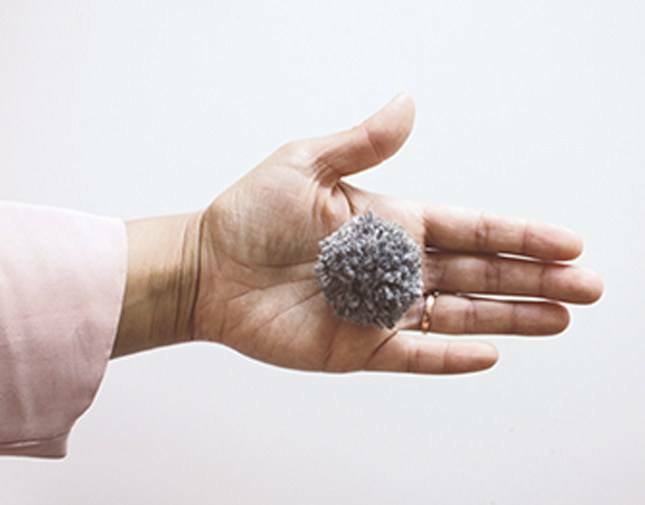 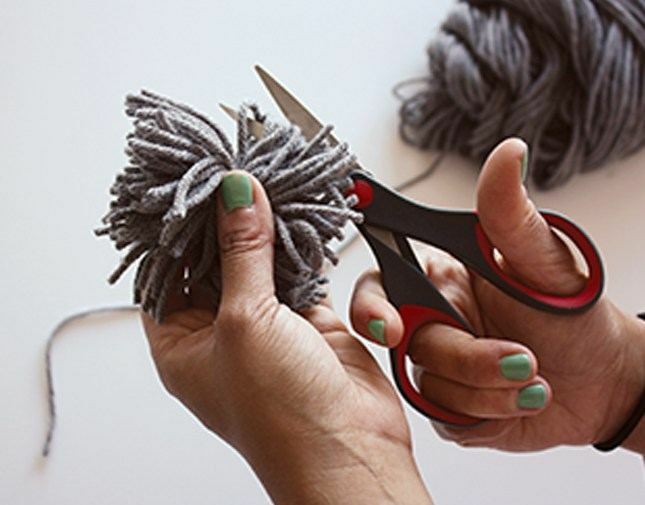 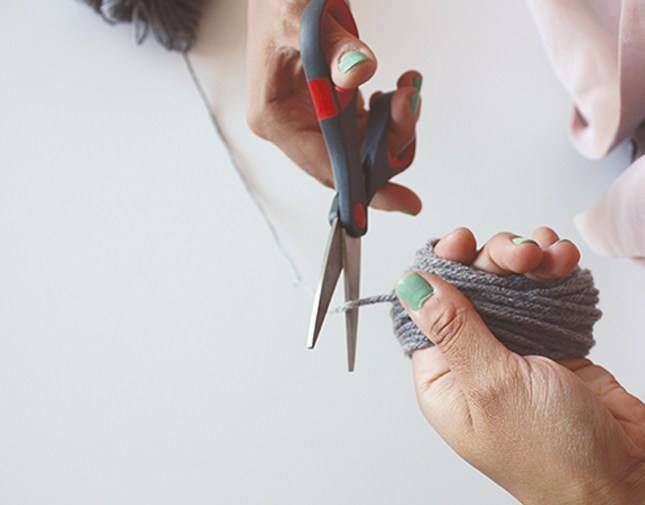 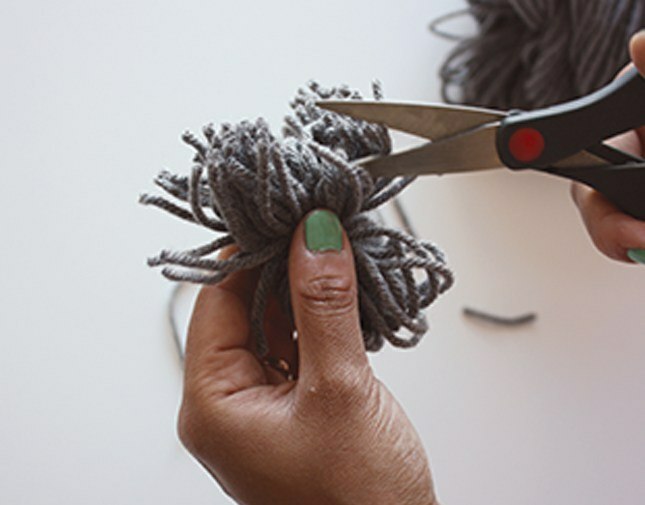 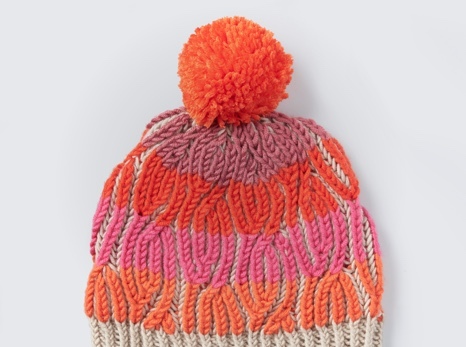 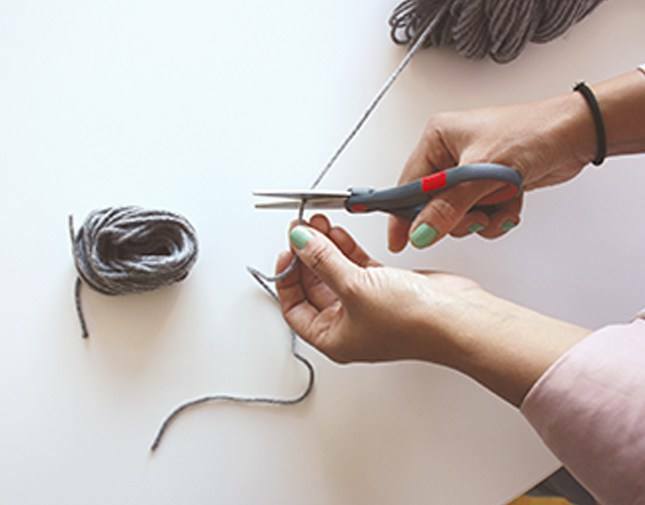 Cut 6 strands of your chosen Caron One Pound color to 14 inches and tape all to a sturdy surface at one end. 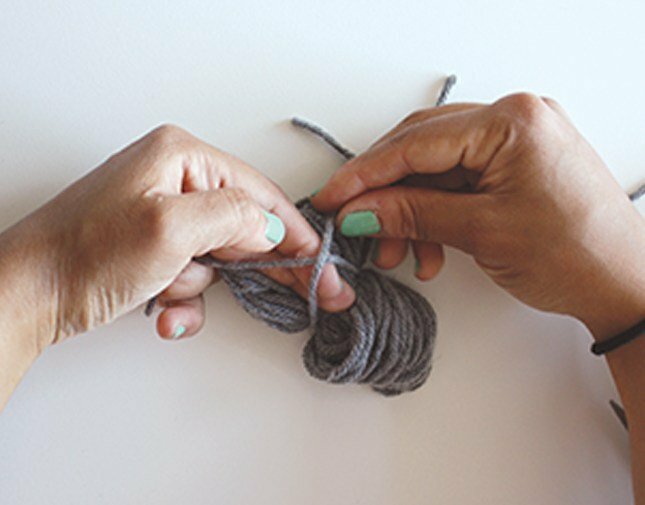 Group the 6 strands of yarn into 3 sets of 2. 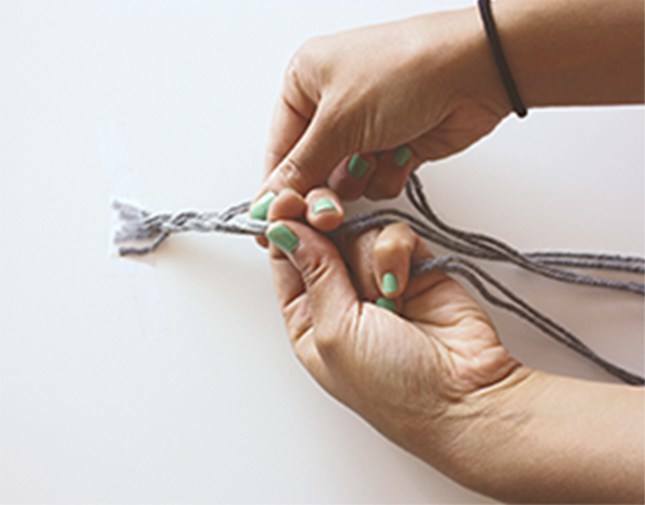 Braid the 3 sets of two strands all the way down from the taped end to the loose end. 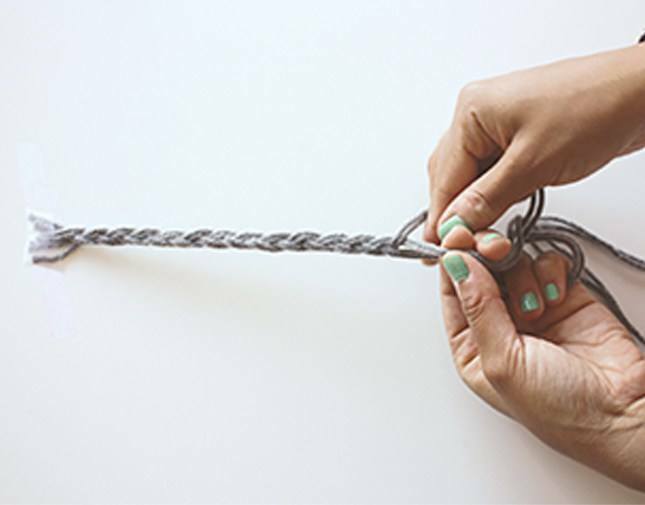 Knot the braid at both ends tightly. 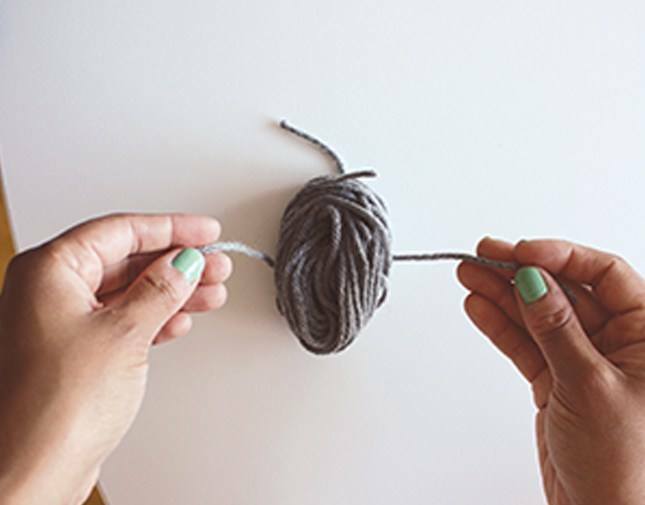 Wrap yarn around your hand approximately 75 times. 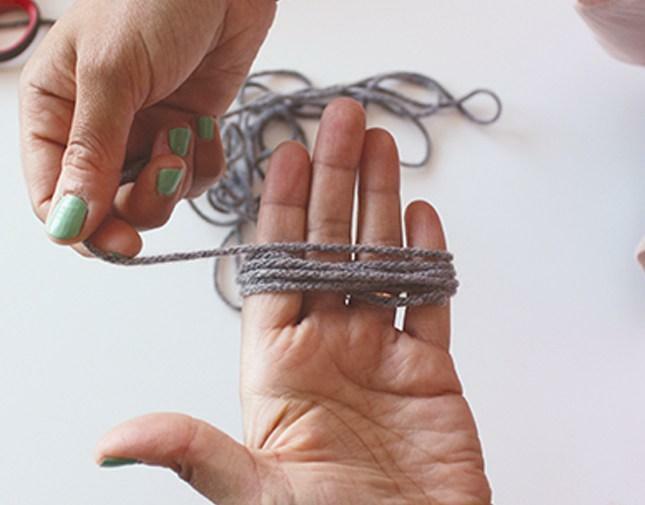 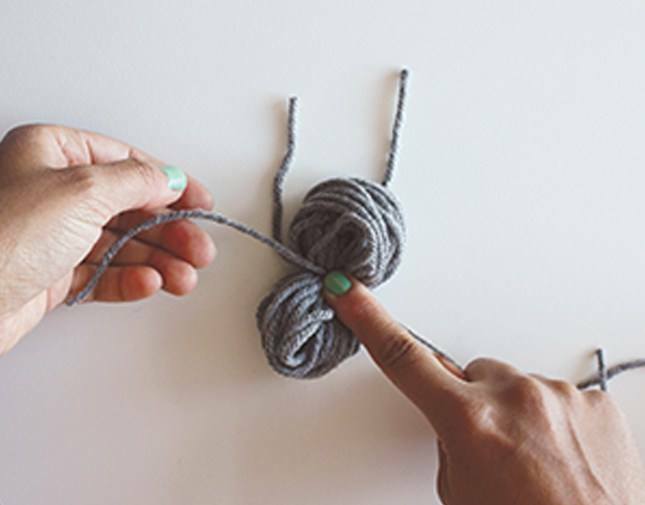 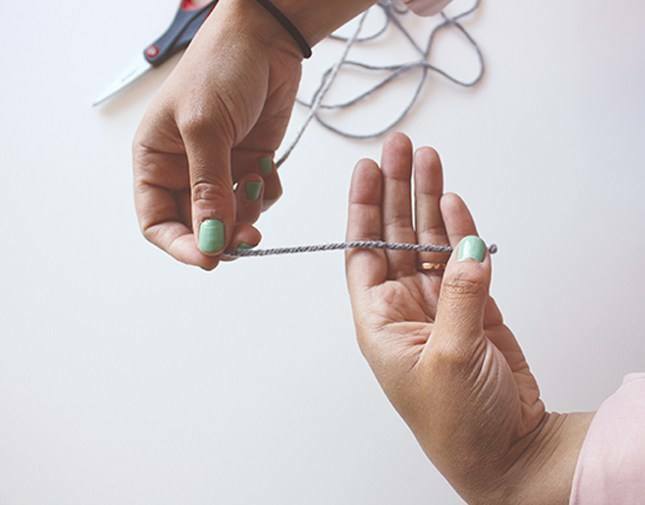 Slip the rings off your hand and tie tightly in the center with a separate strand of yarn. 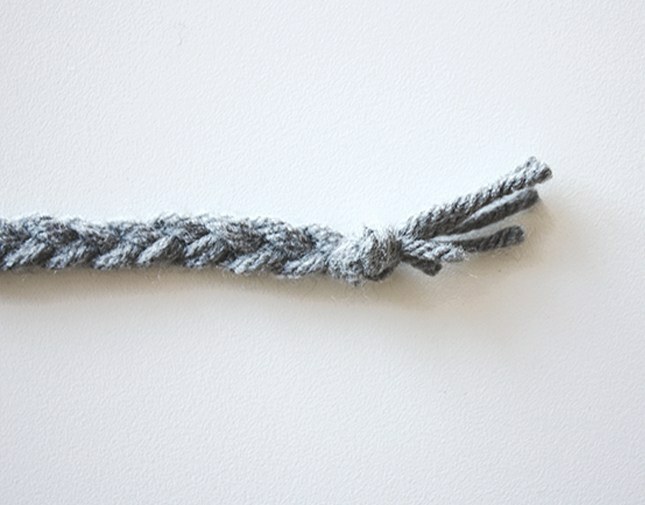 Cut through the looped strands on either end of the tie. 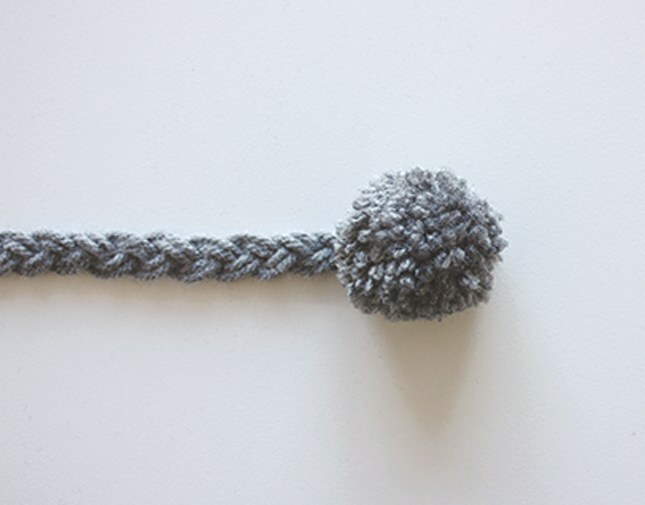 Trim and fluff the Pom Pom edges so they are even. 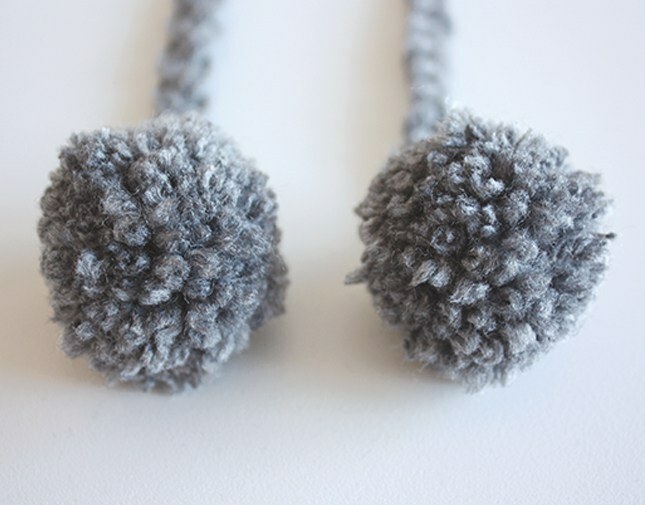 Use these great little Pom Pom Bookmarks to save your place, with one pom pom at the top and one at the bottom of your book. 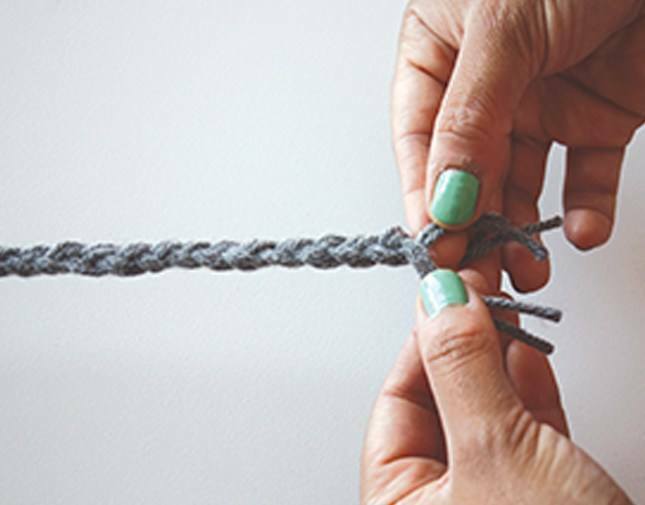 These are great because you can adjust the length of the braid according to the size of your book!